What better setting for a wedding than a chapel built as a memorial to a beloved wife? The Chapel, built in the English Gothic architecture style, is surrounded by beautifully landscaped grounds including a reflective pond, perfect for wedding portraits. Walk down the stone aisle to the altar and be bathed in the light from large, colorful stained glass windows. The inside of the chapel is as beautiful as the outside and you won’t find a more picturesque setting for your wedding. Visit Duncan Memorial and discover its beauty and history. 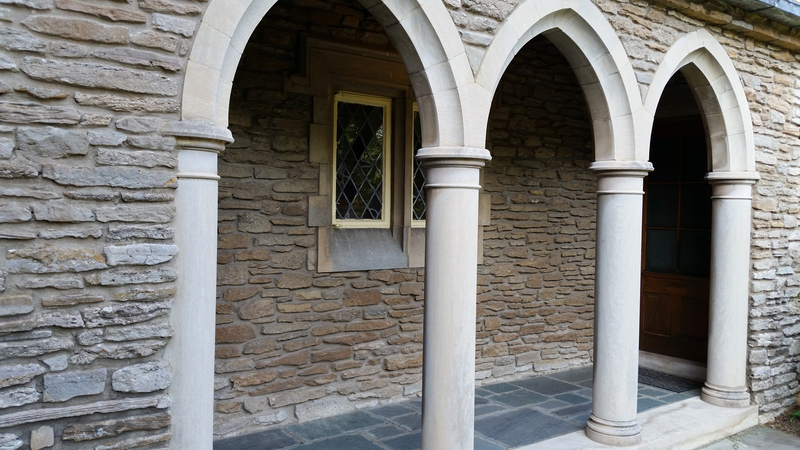 The English Gothic style of the chapel's architecture complements the landscaped gardens and invokes a feeling of an old English village. 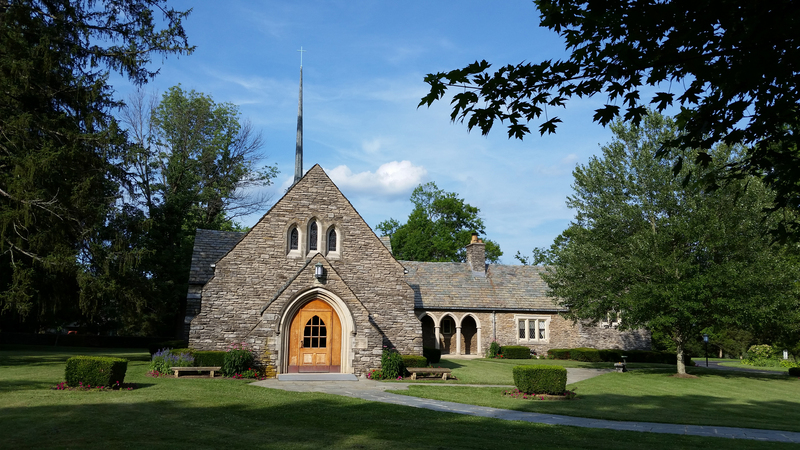 Set in a lovely garden setting, Duncan Memorial Chapel is a memorable venue for small weddings. 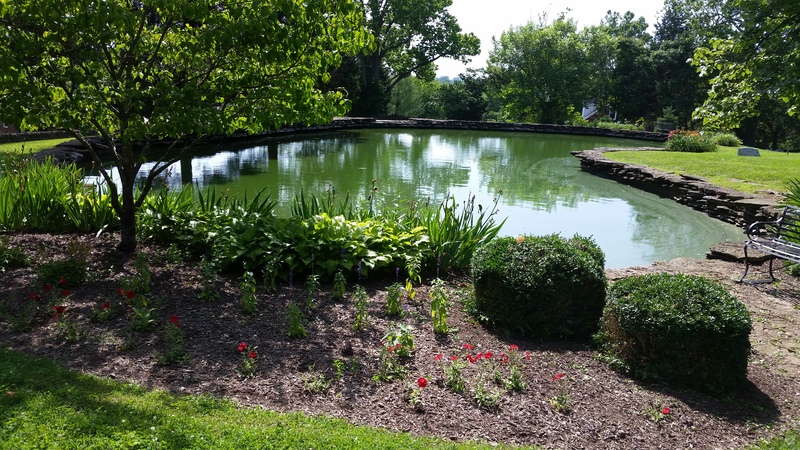 Duncan Memorial Chapel and Cemetery are surrounded by landscaped grounds with a picture perfect pond. Built on one of Kentucky's oldest cemeteries, Duncan Memorial is a perfect resting place for loved ones. The Duncan Memorial Chapel has a rich heritage and affords special memories to the thousands who have been married here since 1937. 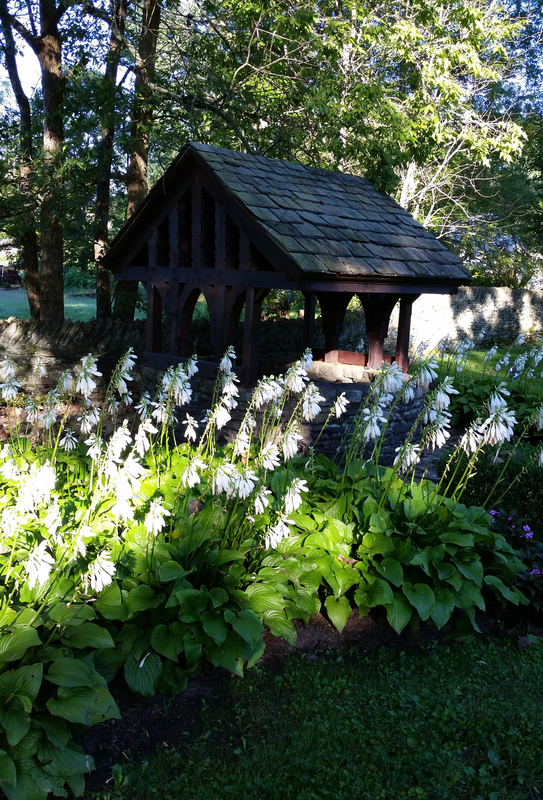 The Duncan family and the Board of Trustees of the Floydsburg Cemetery are pleased to have it used for important events of life and trust that those using it will appreciate and respect the beauty and charm of the chapel and grounds. Reservations for weddings are scheduled for a two-hour period or a four-hour period. Rehearsals are reserved for a one-hour period usually a few days before the scheduled wedding. Funeral services may be held in the chapel, prior to burial in the Floydsburg Cemetery. Our gates are open daily for self-guided tours of the grounds. Personal wedding consultation with chapel tour by appointment only. Magical place! Beautiful chapel to have a wedding. The grounds are gorgeous too! My late April wedding caught the trees in bloom and the grass beautifully green. Staff were accommodating. My husband and I had a wonderful time at your chapel. It was beautiful, and the care taker was just perfect. She was johnny on the spot with anything we needed. I am so glad we chose to have the most important day of our lives here at Duncan Memorial Chapel. My parents got married at Duncan Memorial and I married my best friend on a perfect day in April this year! Such a beautiful venue and very reasonably priced! It could not have been more perfect! We, as well as our guests loved the chapel! It was exactly what we wanted for our special day, and we've heard nothing but beautiful things about the wedding being held there. The chapel was perfect for our intimate wedding and the surrounding grounds made for GORGEOUS pictures! We recently got married here and it was absolutely wonderful. It was intimate for our guests to be part of the occasion, the setting was gorgeous, and the photos turned out beautifully. It provided the perfect backdrop to our most memorable day. 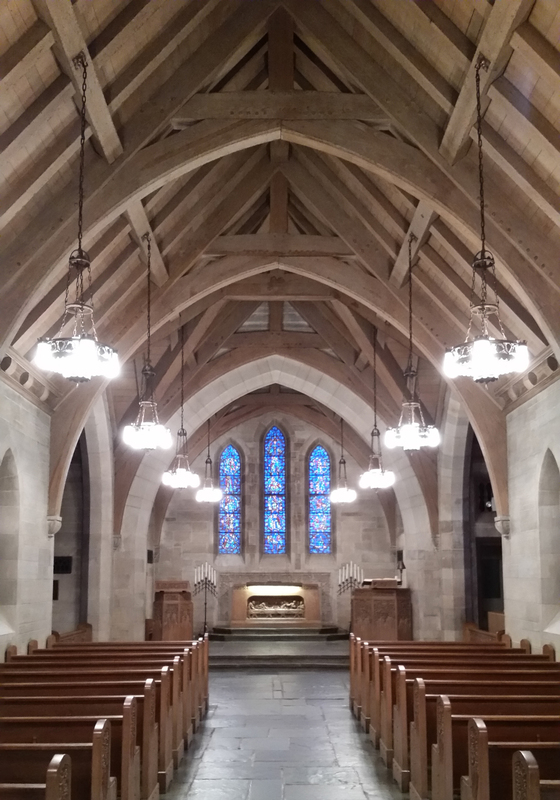 Watch the instrumental duet, “Souvenir”, filmed and recorded at Duncan Memorial Chapel. Anna Marie Blanton and Jessica Bullock perform the instrumental duet “Souvenir” by Franz Drdla. Filmed and Recorded on location at Duncan Memorial Chapel.